The advertised price does not include sales tax, vehicle registration fees, finance charges, dealer documentation charge of $349, and any other fees required by law. We attempt to update this inventory on a regular basis. However, there can be lag time between the sale of a vehicle and the update of the inventory. All prices include all TMS Manufacturer Cash Back Offers in lieu of any Special APR offers. 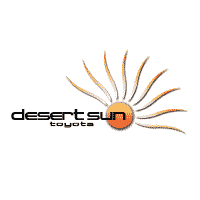 Desert Sun Toyota	32.934910, -105.965410.